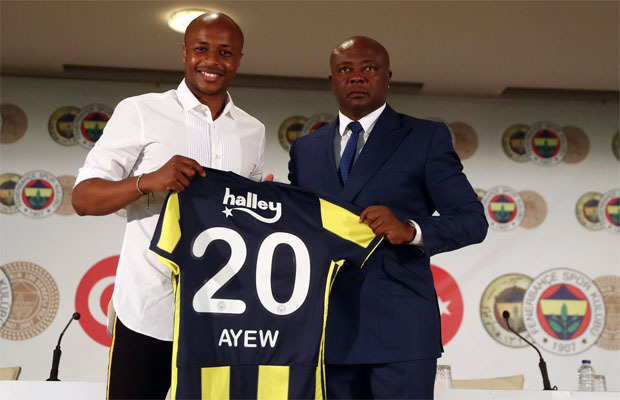 Deputy captain of the Black Stars, Andre Ayew (Dede) is impressed with the quality and level of the Turkish Super Lig. The former Olympique Marseille star joined the Yellow Canaries on a season-long loan deal in the summer from English Championship outfit, Swansea City. The 28-year-old has made four appearances for Fenerbahce – netting once in the process which was against Kayserispor last weekend and Ayew has shared his musings during his short spell in Turkey. “It’s early to talk. We have played a couple of games, but it is a very different league than the league of England and France,” Ayew said on Fanatik. “You must not underestimate any opponent. You should run a lot in this league. You must be physically and mentally ready. “I will know the league better with time. The matches we played in our own home are different, but there is a league that deserves respect,” he said.